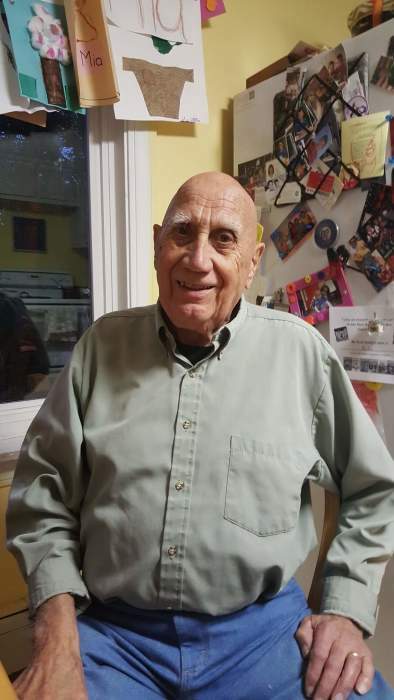 Frank Goodick, 86 a resident of Bristol NH and formerly from Everett, passed away suddenly after being with his whole family for a wonderful family celebration on Friday May 18th. Frank was born on December 3rd 1931 in Shelburne Nova Scotia, Canada one of four children of the late Karl and Etta (Fay) Goodick. Frank was raised and educated in Nova Scotia but eventually emigrated to the United States and settled in Everett, after many years became a US citizen in March of 2009. It is in Everett that he met many people who became life-long friends. And it is in Everett and through one of his great friends that he met his wife Barbara and they were married on April 15, 1967. Frank considered one of his great accomplishment being happily married for over 51 years. Frank worked for many years as a Credit Manager for Marshall Industries until is retirement in 1991. Frank and Barbara lived in Everett and raised their three children. It was after Frank’s retirement that they decided to move to their summer home in Bristol NH on Newfound Lake. It is there that Frank enjoyed his passion of gardening and being outside in nature. Frank also work at a part time job in a local store where he eventually become a wine connoisseur assisting in the Wine Department. But more important than his job, he was loved by the customers because Frank was friendly, fun and just plain thoughtful to all. Frank’s family was his life and he loved nothing more than to be with them as he was on his last day. He is survived by his wife of 51 years Barbara (Blanchard) Goodick and his three children Ellen Spelta of Lynn, Franklyn Goodick of Lynn and Melissa and her husband David Donahue of Peabody. He was the grandfather to Cpo David Spelta Jr, Hunter Spelta, Hailey Spelta, Devon Donahue and Mia Donahue. Funeral Service from the Murphy O’Hara Funeral Home 519 Broadway Everett on Thursday morning at 11am. Visitation on Wednesday From 4 to 8pm. Interment Private.